My first week of braces! I haven't been very fortunate in the teeth department. I've recently spent 3 very early, dreary and dull mornings at the dentist getting 3 deep fillings in my premolars which apparently, all grew weak. During one session, while waiting for the anaesthetic to numb my senses, 'Riptide' came on the radio. Luckily, I'm not scared of dentists or the dark. Extractions and needles don't really phase me, so I thought braces wouldn't cause me too much grief either. So on what I believed to be my final visit, out of curiosity, and absolute hatred for my crooked teeth, I asked my orthodontist about the various aspects of braces. Come a month later, I've had a full mouth X-Ray, a mould of my teeth created out of a very unpleasant, luminous yellow Play-Doh like substance that stuck to anything and everything (including my face), my 4 weak premolars extracted, and after much blood and many soothing bowls of ice cream, my braces were fitted on September 1st. I suffer from overcrowding. And because of this, each of my canines have been forced out by my other teeth, resulting in overlapping and occasionally catching on my lip - annoying. 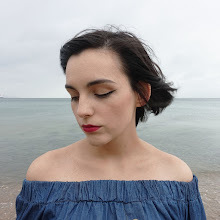 My molars and premolars have all grown sort of inwards, leaving little space for my tongue, occasionally resulting in a slight lisp when I speak quickly. My wisdom teeth have also started growing, but there isn’t any space for them, so they've just decided to do their own thing and grow outwards instead of straight down. And as for my front bottom teeth, they're just slanting in all directions! The orthodontist recommended I go ahead with braces. By getting them now, I'm avoiding a problematic future with endless dentist appointments revolving around my weak premolars and wisdom teeth. Oh, and it'll prevent me from ending up looking 'horsey', as he put it, especially when my wisdom teeth fully develop. So obviously, I fired ahead without giving it a second thought! Luckily, I can sport clear braces on top and train tracks on the bottom. It's difficult having a huge lump of metal invading my mouth. It's a burden actually. I just want to rip everything out. When I talk, I've sometimes got a lisp. Obviously I don't mind lisps, but when you just wake up one day and start talking with one, it's kind of frustrating. Also, often when I talk quickly, air is forced through the wires and brackets making a whistling sound. Sort of ruins my passionate outbursts. In the morning, the lower half of my face looks all puffy and swollen, like I'd just had surgery. I also have a constant pout that makes me look 10 years younger and slightly resemble a chimpanzee. Turning down delicious foods is the most frustrating of all. I can't remember when I last had chocolate. I honestly don't know how I'm still sane. But really, during the first few days, even basic foods were a struggle. I couldn't eat soft foods that were recommended. But on my second day with no food, (which felt like a year in) I finally managed a yogurt. My mum went out and bought me some rainbow coloured baby spoons, because regular metal spoons banging off my teeth just doesn't make anything better. (and it's not near as fun). YOGURT - Over the first few days, yogurts were my best friends. It's important to find at least one thing you can manage to eat. After all, can't take painkillers on an empty stomach. CHOCOLATE MOUSSES - Because a girl just needs her chocolate. Every time I tried to drink, I'd spill the whole thing down myself. It took a while to get used to sucking up through a straw with braces, but it's so important to stay hydrated! 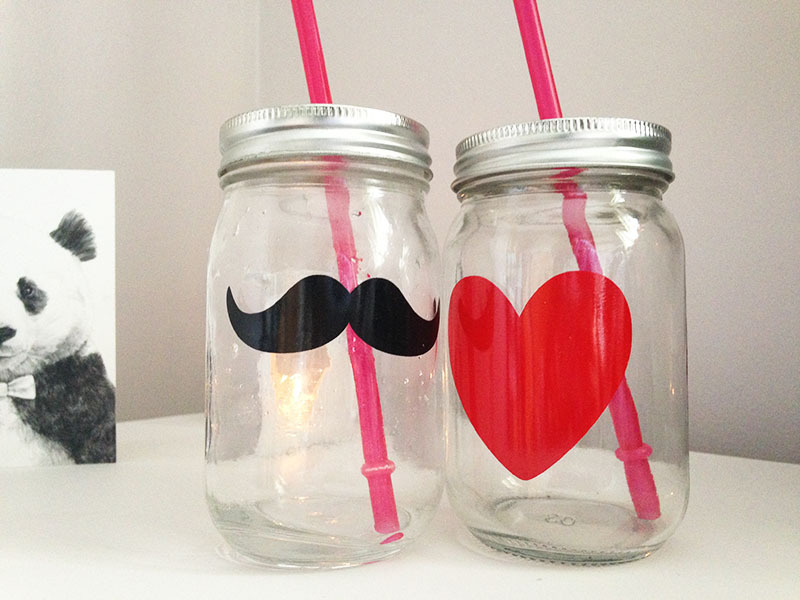 Plus I’ve got these adorable mason jars from TIGER so I might as well put them to use! I tear off a little bit, roll it into a ball and stick it onto the troublemaking bracket. It prevents my blisters from becoming deeper and takes the pressure off of them for a while. 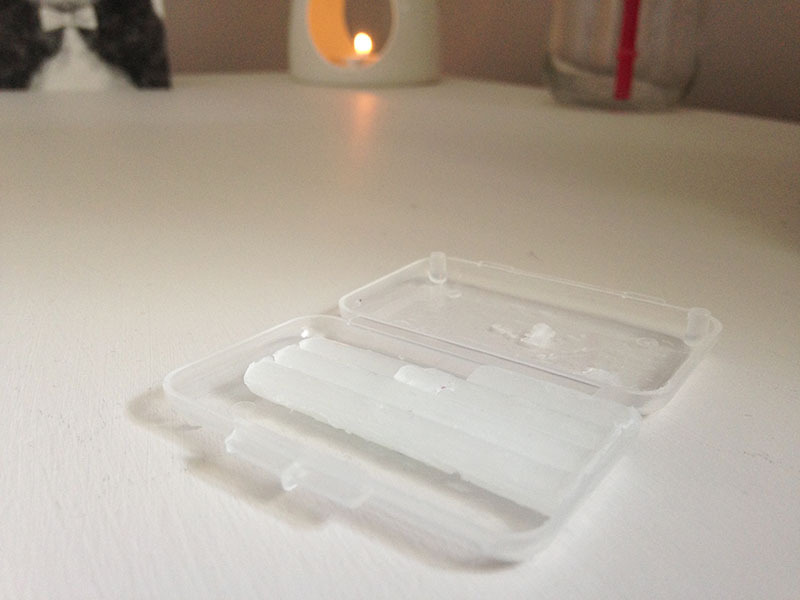 I can't imagine sleeping without the wax, it's so important it's even made its way into my night routine. SALT WATER - I just swish a mouthful salt water around to help the blisters heal quicker and prevent infection. It saved my life during the extractions, easing the pain as my gums were healing. 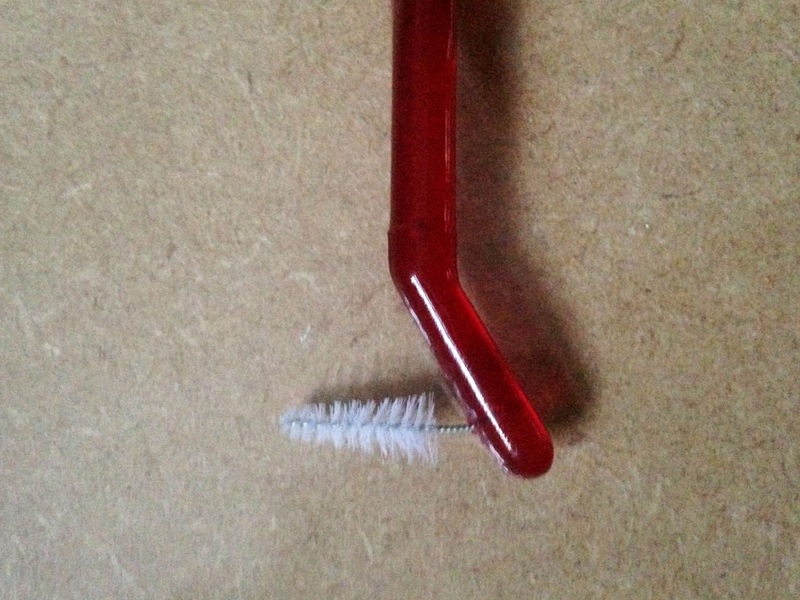 This little pipe cleaner bristly thing at the end of my toothbrush helps me get in behind the wire into all them lil nooks and crannies that a normal toothbrush head can't reach. I still want to pull them out. My molars feel a bit weak at times, but I can finally chew again and gently tear using my incisors! Getting food stuck in my braces is probably the worst thing right now, which is a massive improvement. Unfortunately, due to the crazy diet, my skin has taken it's toll. But now that my teeth feel a lot stronger, I can go back to eating more normally! And I've surprisingly already seen signs of change. My incisors have pulled apart making the gap between my teeth bigger which of course isn't what I wanted, but I'm relieved to know that the braces are working that I'm not going through all of this pain for nothing. I now understand Vance Joy's distress over the dentist visits. 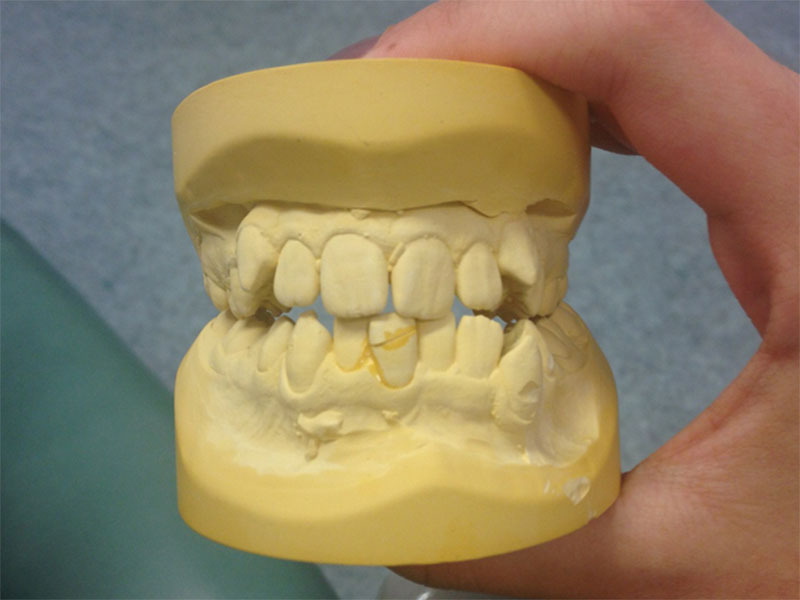 I'm dreading getting my braces tightened next month, but I have to keep focused on the end result.